Natalie is a manic and dyslexic extrovert. Joni is an indecisive and dispraxic introvert - yet they both have Anxiety. 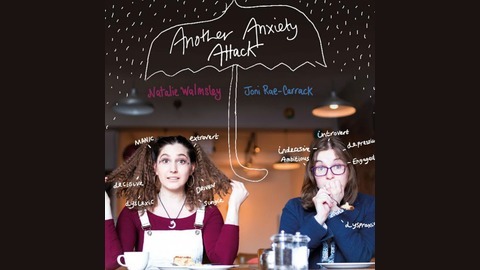 Helped along by director Celia - expect guests and mini sketches - join us each month as we explore our own fun-founded realities behind mental health as we break down the stigma attached to our fickle friend: Anxiety. 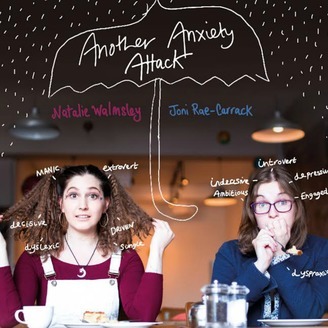 In this minisode of AAA– Joni and Natalie are discussing the daily life of living with anxiety. We challenged ourselves to send voice messages over the course of two weeks to talk about how we’re feeling – in real time. We wanted to keep it authentic and as ever, just offer up two very different people dealing with every life and our friend: everyday anxiety.